A group of journalists and first responders are caught in a downtown Kabul suicide attack on 30 April 2018. Fighting and brutal violence claimed exactly 3,804 civilian lives in 2018 – including 927 children, another tragic record for the year – according to data carefully collected by the UN. The number represents an increase of 11 per cent compared to 2017. In addition, 7,189 people were injured in 2018, 5 per cent more than in the previous year. According to the report, the increase is largely due to a spike in suicide attacks by armed opposition groups, as well as increased harm to civilians from aerial and search operations by pro-Government forces. The report is the UN’s tenth annual report documenting the plight of civilians in the Afghan conflict: in a decade, more than 32,000 civilians have been killed and around 60,000 have been injured. The conflict, which has now gone on for a total of four decades, has claimed thousands and thousands more lives. “It is time to put an end to this human misery and tragedy. The best way to halt the killings and maiming of civilians is to stop the fighting. That is why there is all the more need now to use all our efforts to bring about peace. 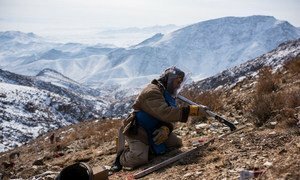 I urge all parties to seize every opportunity to do so,” stated Mr. Yamamoto, who also heads UNAMA. Election-related violence was particularly deadly for civilians in 2018, including on 20 October – polling day – when UNAMA recorded the highest number of civilian casualties in any single day for the whole year. 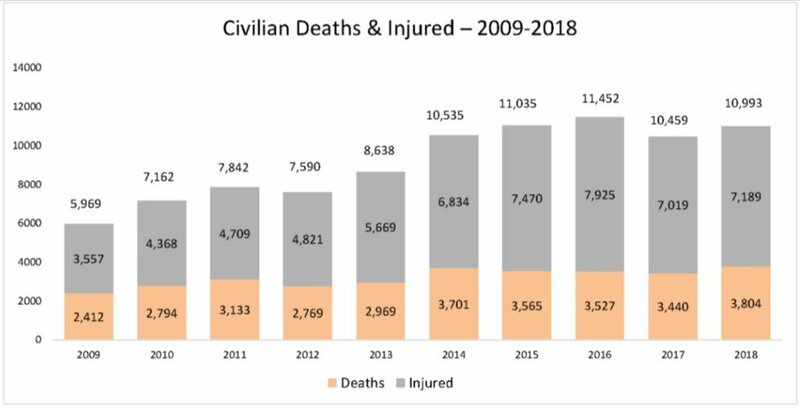 Number of civilian casualties in Afghanistan, 2009-2018. “The conflict in Afghanistan continues to kill far too many civilians and has caused long-lasting suffering, both physical and psychological, to countless others,” said the UN High Commissioner for Human Rights, Michelle Bachelet. “The fact that the number of children killed this year is the highest on record, is particularly shocking. In addition to the lives lost, the dire security situation is preventing many Afghans from enjoying their economic, social and cultural rights, with thousands of children already handicapped for life because of attacks on schools and medical facilities,” she added, calling on all parties to the conflict to fully respect international humanitarian and international human rights law to protect the lives of all civilians. 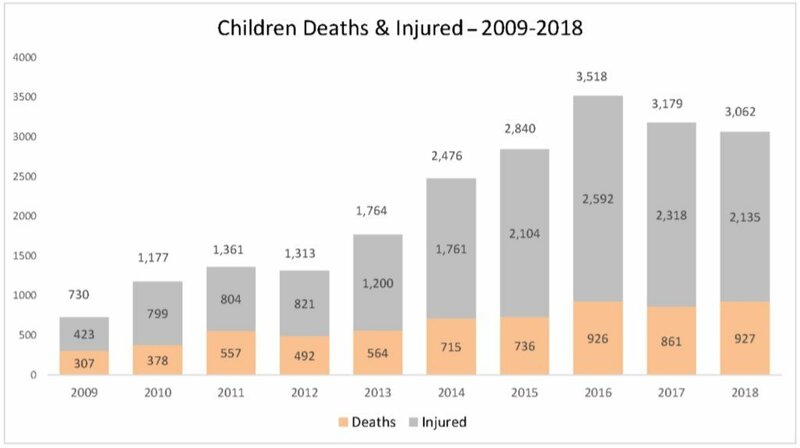 Children killed and injured in Afghanistan, 2009-2018. 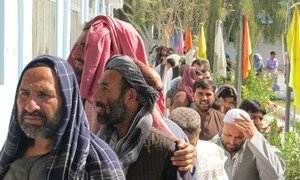 Amid reports that Afghanistan’s 2019 presidential election may be postponed, local electoral authorities confirmed a polling date delay; a decision the UN Assistance Mission in Afghanistan (UNAMA) welcomed for its clarity on Monday.